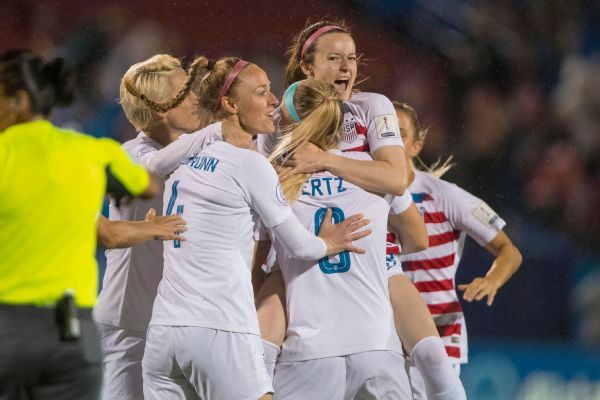 The draw for the 2019 Women's World Cup placed the United States in a dream group. It also set some potentially nightmarish traps. Getting out of the group should be easy. Everything after that will be difficult. So as much as learning which opponents they will play and where they will play those games next summer, the U.S. women were reminded Saturday that every part of the retooling that took place over the past two years will be tested. Minds must be as willing as bodies for young players who will be on this stage for the first time. Bodies must be as willing as minds for the veterans who have been here before. Once the dance numbers, awkward speeches and introduction of dignitaries gave way to the actual machinations of filling out a bracket in Paris, the pingpong balls treated the defending champion more kindly than any of the top contenders, including host France. Group F -- which consists of the United States, Chile, Sweden and Thailand -- is as far from the group of death as the U.S. women will ever land -- even if drawing Sweden for the fifth consecutive World Cup might feel like death by a thousand paper cuts. Sweden isn't a pushover by any stretch. It's the only team ever to beat the United States in a World Cup group game and the team that eliminated the Americans from the 2016 Olympics in a penalty shootout. Sweden played a defensive style that famously didn't agree with Hope Solo's sensibilities. Although their qualifying campaign was at times rocky, including a loss at Ukraine, the Swedes appear to be transitioning from the Lotta Schelin generation. A recent win on the road against England showed off new and old, familiar names like Caroline Seger balanced by goal scorers 28-year-old Sofia Jakobsson, healthy and in her prime, and 21-year-old Anna Anvegard. Even though it is a less favorable draw from Pot B than a team like Norway, Sweden is arguably a better draw for the United States than emerging teams like Spain and the Netherlands, which match up better athletically. 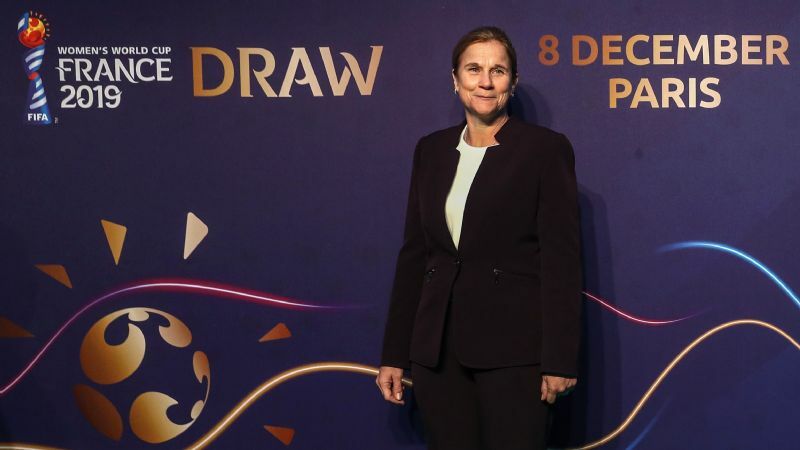 "I think Sweden is a good matchup for us, in terms of just probably anticipating a team that is going to slow the tempo a little bit and maybe sit in a little bit," said U.S. coach Jill Ellis, whose team opens the World Cup on June 11 against Thailand in Reims, France. "I think we are further along the track in terms of being able to manage that scenario, if it's presented to us, with our personnel." And if there are misgivings about yet another meeting with Sweden, there shouldn't be about the rest of Group F. Thailand was the ideal draw from Pot C, ranked nine spots lower than any other teams in that group. Contrast that to four years ago, when the U.S. women drew Australia, then ranked No. 10 in the world, as the third-best team in its group. Rounding out the group this time around, Chile scored a shock win against Australia recently, but posed no problems for the United States in two late summer friendlies. On top of the on-field gifts, the U.S. women also landed a logistical victory with the group. Despite playing in three cities, as opposed to two in 2015, the United States will still travel less in group play than it did in Canada. The U.S. women essentially got the equivalent of a Washington-Philadelphia-New York travel schedule in going from Reims to Paris to Le Havre. They will be familiar with the venue in Le Havre, where they play France in a few weeks, and they might return to Paris in the knockout round. All good so far. Except that it's at this point in the disaster movie, after the scenes of happy picnics, that the camera cuts to a volcano starting to bubble or asteroid hurtling toward Earth. 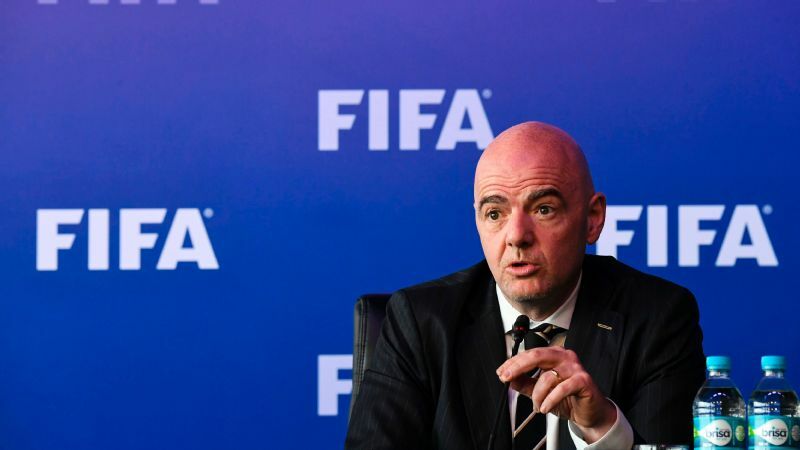 The draw is set up for the United States to win its group, and that is where the trouble begins. The Group F winner will play the runner-up from Group B, likely either Spain or Germany, which is currently ranked No. 2 in the world. Even assuming that's Spain, contrast that with four years ago, when the U.S. women played a Colombian team ranked No. 28 in the Round of 16. Perhaps no national team in the world is as upwardly mobile as Spain, which is ranked 12th in the latest world rankings. Its time is coming. "I think they have a tough group, but he's got a really good team," Ellis said of Spain and coach Jorge Vilda. "They're a team that's really come on, that's why we tried to get them on our schedule in January." Win that game and the U.S. women move on to a quarterfinal in Paris. The most likely opponent in that game? Host France, which is comfortably the best team in Group A and would play a third-place team in the round of 16 if it wins its group. Just as they were eliminated in a quarterfinal between two of the tournament's best teams in 2015, losing to Germany, the French could knock out the Americans before the defending champions even get to Lyon and the semifinals. That's a tad trickier than playing China in a quarterfinal, as the U.S. women did in 2015. Jill Ellis and the U.S. women are grouped with Chile, Sweden and Thailand. But if the Americans win their group, they'll face the Group B runner-up, likely Spain or Germany. Even the potential for avoiding Germany until a final is less of a prize than it might normally be for the United States, given the changeover in that program since it won Olympic gold and the depth of contenders in the field as a whole. A semifinal against England might be no more preferable. All of this is the normal speculation that accompanies a World Cup draw. In the depths of winter, after all, there is little as enjoyable as playing out the entire tournament on paper. The actual tournament will undoubtedly play out differently. More enduring is the notion that there are far more difficult paths than there are easy paths to get to the trophy. The United States had the luxury of an easier path to the semifinals four years ago. It had a difficult group but the luxury to play itself into the tournament with no real fear of missing the knockout round. 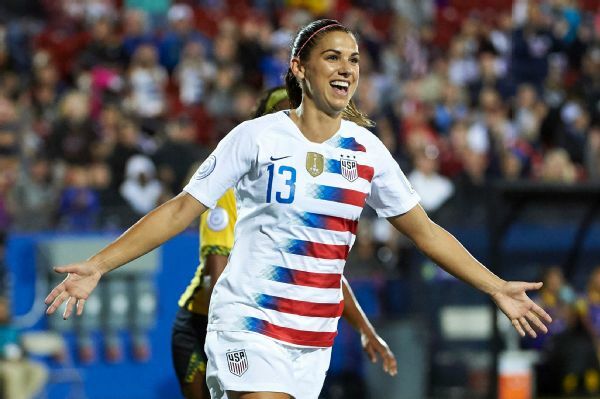 It had time to find the right fit on the field for Carli Lloyd, to figure out that Morgan Brian was up to the challenge fresh out of college. It will have less time this year. It needs answers in advance. "I feel fantastic about the depth on this team," Ellis said. "I really think a big part of winning this thing is having players available. And I think with the added depth and the potential to rotate players, I think it measures up really well. The master stroke here is we've got to execute." 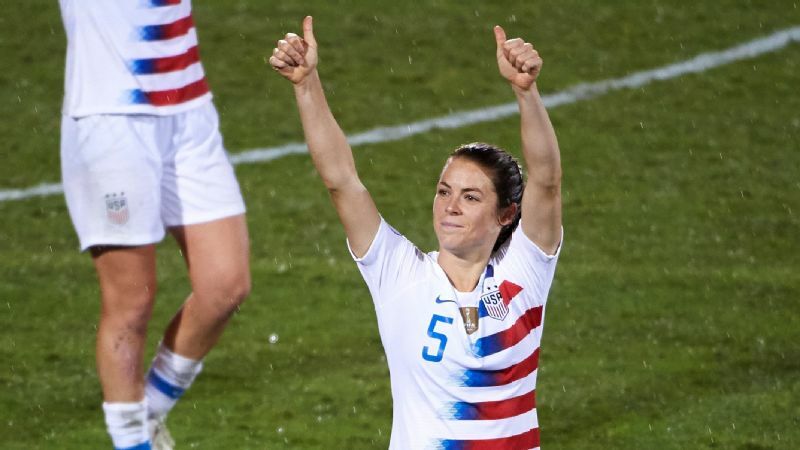 Whether it's Spain or Germany in the round of 16 -- or even Canada or the Netherlands in a scenario in which the U.S. women finish second in their group -- the margin for error will be smaller once the Americans are through their dream group. That makes it all the more important that they arrive in France knowing how they want to use Tierna Davidson, the center back recently named U.S. Soccer Young Player of the Year but who is coming back from a serious ankle injury. All the more important they keep Tobin Heath and Megan Rapinoe healthy, the veterans indispensable but also no strangers to unfortunate injuries. All the more important that Kelley O'Hara is healthy after recent knee surgery, and that the U.S. is sure Crystal Dunn is best deployed as the other outside back. All the more important that Lloyd can play minutes as the No. 9, that Sam Mewis is ready for any midfield role and that a healthy McCall Zerboni makes her case to be on the roster. The U.S. team has until the end of the group to find all the answers. Otherwise a dream will very quickly become a nightmare.